Old Vicarage01982 560680work FarmhouseWe would like to welcome you to our family run farmhouse Bed and Breakfast, The Old Vicarage B&B can be found in the small Mid Wales village of Erwood between Brecon and Builth Wells in the upper reaches of the the Wye Valley. Breakfasts are served with locally sourced ingredients and home made jams and marmalade. Eggs are from hens that are left to freely roam and enjoy life in the open countryside. I also make my own bread and preserves ranging from orange & nectarine to kiwi fruit, all are very different flavours. Our twin and double rooms offer shared bathroom access. 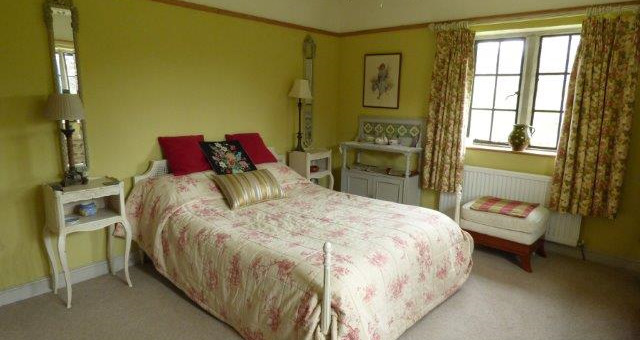 Exclusive use of the bathroom for either room may be arranged on request. The Twin & Double standard room both offer wash basins in room. Power Shower over bath in Twin/Double Standard. 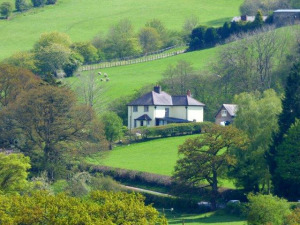 We would like to welcome you to our family run farmhouse Bed and Breakfast, The Old Vicarage B&B can be found in the small Mid Wales village of Erwood between Brecon and Builth Wells in the upper reaches of the the Wye Valley. Breakfasts are served with locally sourced ingredients and home made jams and marmalade. 7 miles south of Builth Wells, drive through Erwood village. First B&B on the right after village. 'B&B' sign white,red,black. Black wrought iron gates always open on entrance.